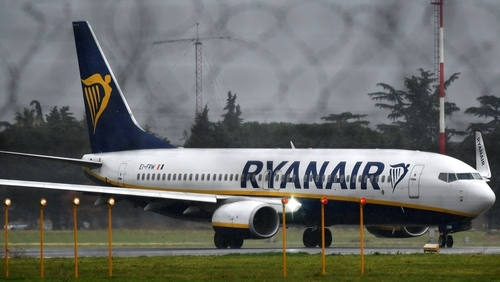 Ryanair has announced that it has agreed the framework for a collective labour agreement with Italian cabin crew unions. The airline has reached the outline deal with cabin crew unions FIT, CISL, ANPAC and ANPAV who were not due to participate in a five-country strike over contracts, pay and conditions on 28 September. However, fellow unions UILTRASPORTI and FILT-CGIL have not withdrawn their strike notice. Ryanair has not yet responded to a query as to how many cabin crew are represented by each of these unions. In a statement, the airline said that following a meeting in Rome with the unions yesterday, a set of agreed principles were signed which will form the basis for a comprehensive Collective Labour Agreement to cover the airline's Italian-based cabin crew from 1 October. The deal, which will run from 1 October 2018 to 31 December 2021, delivers a key union demand that employment contracts will be governed by Italian law and the Italian courts. Previously, Ryanair has always insisted that all staff employment contracts are governed by Irish law, no matter where the employee is based. Staff will gradually transition to local contracts over an agreed period, and will see increased pay under a new pay structure, as they will benefit from higher tax free allowances in line with other Italian airlines. The overall package will also provide for the introduction of an Italian pension scheme. Ryanair Chief People Officer Eddie Wilson said the deal would cover all Italian based cabin crew, and follows recent agreements in Ireland and the UK with Fórsa and Unite respectively. He described the agreement as a further sign of the "significant" progress the airline was making in reaching agreements with staff and their unions in different EU countries. Mr Wilson also said the deal would disprove "...false claims made by smaller unions not involved in these negotiations and who are threatening strikes later this winter, which will either not take place or be unsuccessful." It remains to be seen whether Ryanair management can achieve similar agreements in Spain, Portugal, Belgium and the Netherlands before next week's AGM, which the media have been banned from. Ryanair launched its Cork summer schedule for 2019 today, with four new routes to Budapest, London Luton, Malta and Poznan as well as more flights to Malaga. The airline will now fly on 16 routes from Cork in total as it predicts its Cork passenger numbers are set to grow by 20% next year. Ryanair also announced a new training partnership with Cork-based international flight school Atlantic Flight Training Academy. The new partnership will create 50 new jobs and Ryanair said it will ensure that the airline will continue to attract "highly trained professional pilots to support its continued growth across Europe". The 16-month intensive training programme gives trainee pilots a structured path to achieve their pilot licence and reach a standard where they are ready to join the Ryanair Boeing 737 type-rating programme. The trainee pilots will be trained by AFTA instructors using Ryanair procedures as they take their first steps towards becoming Ryanair pilots. Ryanair said that over the next five years, up to 450 new pilots from across Europe will be recruited and trained by AFTA in Cork. Tánaiste Simon Coveney officially launched the partnership in Cork today, adding the fact that the next generation of Ryanair pilots will be trained in Cork is a most welcome move.